With its best snow in years, Steamboat is luring a new cast of prospective buyers this winter: well-heeled, searching for a different ski experience than they’re getting in Aspen, Jackson or Tahoe. Steamboat offers that, along with trendy new dining and custom homes that show a more contemporary vision of mountain resort living — as in a new custom home you can tour during your Steamboat stay this weekend. 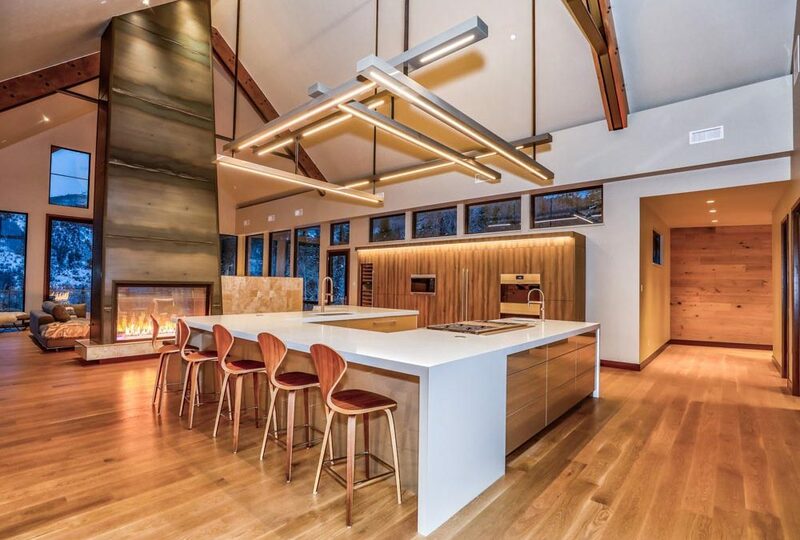 “This past week, we’ve seen visitor numbers that are some of the best days ever,” says broker Chris Paoli with The Paoli Group, listing a sleek, lavishly appointed resort home opening this weekend at Alpine Mountain Ranch & Club, six minutes from Steamboat’s base mountain. Helping lure that visitor is the Ikon Pass, a newly introduced passport that draws skiers who’ve frequented other premium mountains, wanting to try something new. “We’re seeing buyers who wouldn’t have discovered Steamboat without it,” says Paoli, just back from hosting a California couple that have been regulars at Squaw Valley. At Alpine Mountain Ranch & Club, that buyer sees a perfect match to the mountain and to Steamboat’s cowboy-chic downtown: custom homes on acreage sites, in a scenic, 1,217-acre gated community with 900 acres of open space, set between the ski area and Catamount golf club. “We’re getting two kinds of buyers now,” adds director of sales Suzanne Schlicht. “Some are already sold on Steamboat and only want to buy here; while others are touring a number of resort communities. The latter tell us we compare well, that Steamboat has a more genuine feel and is a better value.” Finding more contemporary architecture is a rarity, not just in Steamboat, but in other areas as well, says Schlicht, noting that Alpine Mountain Ranch has been proactive in updating its covenants from the dated timber beam look that’s omnipresent in resort communities. The custom, five-bedroom, 5,700-square-foot walk-out ranch is priced at $4.495 million. 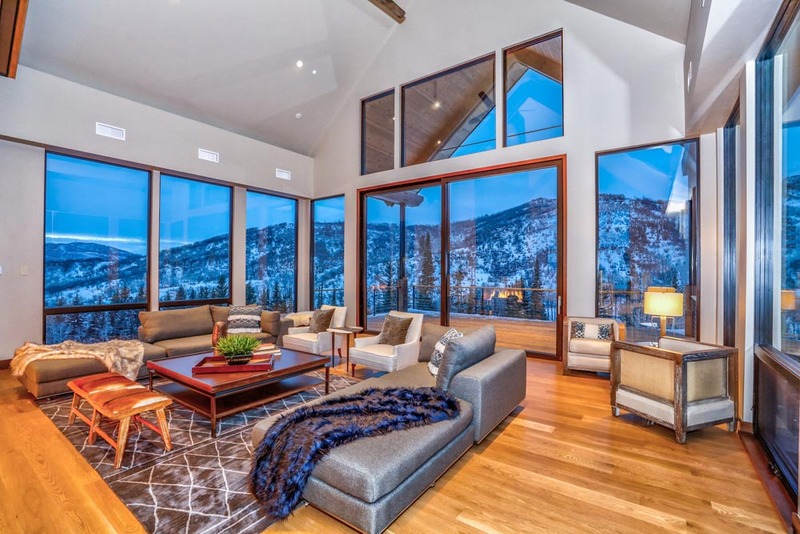 You’ll see a wide-open layout with 30- foot ceilings and high windows that bring in the mountainside surrounding its 5-acre site, along with Lutron lighting, custom built-ins and a centerpiece, two sided natural gas fireplace. 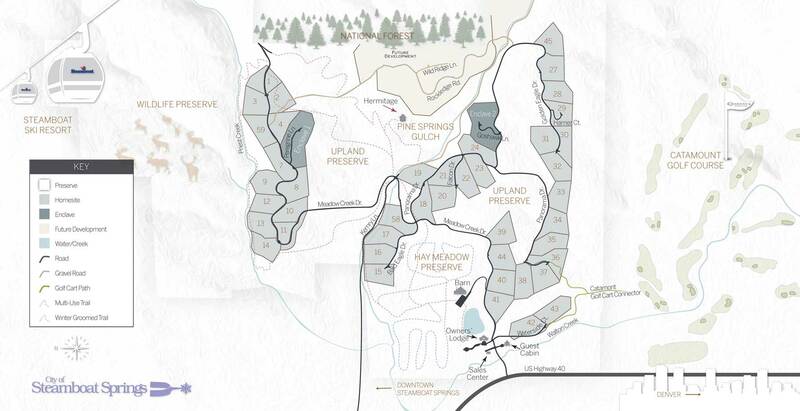 The design scheme is light-n bright, a decided change of direction from older homes in resort areas. When residents return for Steamboat’s mountain summer, they enjoy a stocked lake, equestrian center, groomed trails and a backcountry retreat — along with miles-long access to a private, gold-medal trout reserve on the Yampa River. Schlicht, who can show you this home today or tomorrow (New Year’s Eve), could give you a snowshoe tour of other sites and tell you about the restaurant scene the exclusive membership opportunity residents have at Alpine Mountain Summit Club, a ski-in/ski-out private club at the base. Along with today’s open house, she’s hosting a “Bubbles and Brokers” event at the home Jan. 15. Alpine Mountain Ranch & Club is 2½ hours from Denver, just 45 minutes from Yampa Valley Regional Airport.